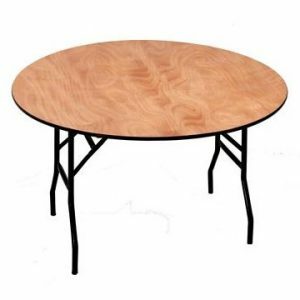 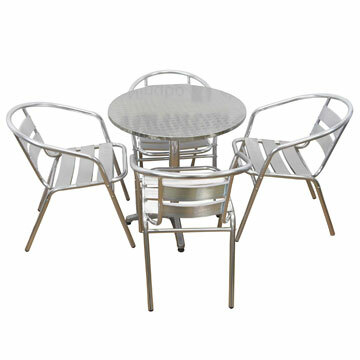 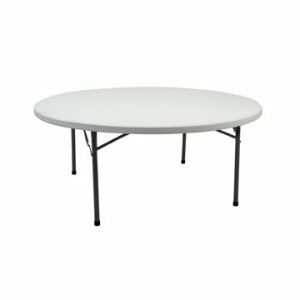 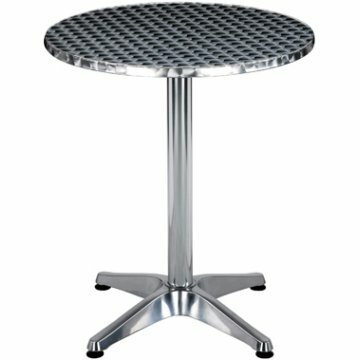 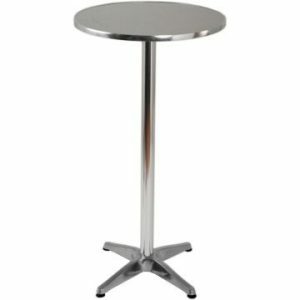 Attractive, round aluminium café table. 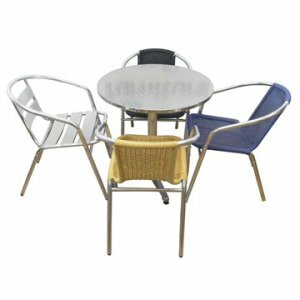 Perfect for both inside and outside dining and will seat 2-4 adults. 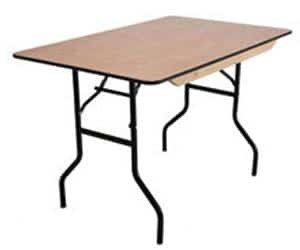 4 legs ensures stability. 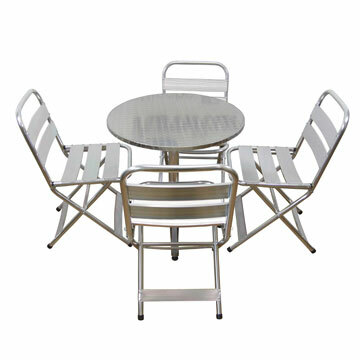 Quick & easy to clean ready for your next customers. You don’t have to buy a property in the sunshine and warmth of the South of France coastline to adorn your cafe, coffee shop or bistro with these attractive Monaco aluminium cafe tables but you can bring a little bit of that French cafe magic to wherever you are in business. 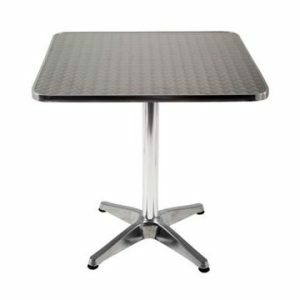 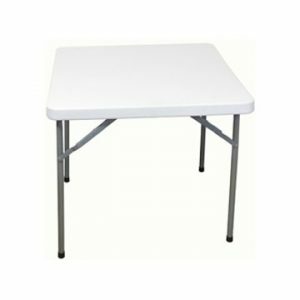 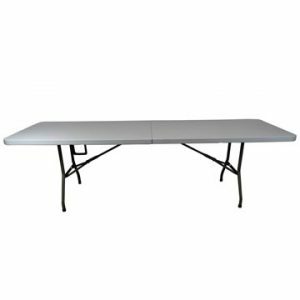 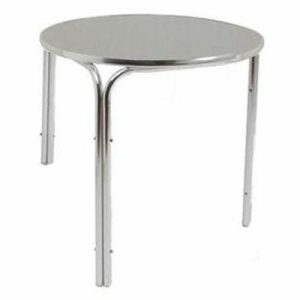 These Monaco aluminium cafe tables have a lovely build quality and even though they are light enough to move and rearrange with ease there is also a strength and durability present which means they are excellent for use both indoors or outdoors. Perhaps your coffee shop or cafe has both inside and outside areas – you keep your theme consistent with these particular tables. If you are looking for cafe chairs that will prove to be the perfect match, then please feel free to take a look at our Cannes Aluminium cafe chair as well as our St Tropez cafe chair – both of which will look great around your new tables which will seat 4 people comfortably for a relaxed dining experience.